Tru Nature's Hot Stone Massage helps relax & ease tense muscles and damaged soft tissues throughout your body. 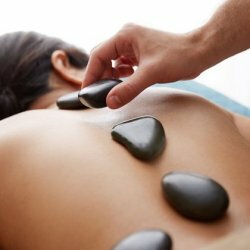 We use smooth, flat volcanic stones that retain heat to massage the body. Hot stone massage can ease muscle pain & tension, boost immune system, and can help relieve symptoms of autoimmune diseases.